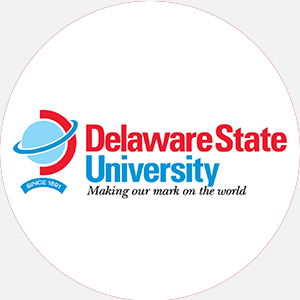 Delaware State University is a four-year, state-supported, coed, liberal arts university founded in …. Delaware State University is a four-year, state-supported, coed, liberal arts university founded in 1891 as the State College for Colored Students. It was established as a result of the 58th General Assembly of the State of Delaware passing legislation to establish a college for the education of colored students in agriculture and the mechanical arts. This law was built on provisions of the Morrill Acts of 1862 and 1890, which provided for land-grant colleges. DSU serves as the land-grant institution for the state, providing higher education for the academically challenged and the academically gifted. Delaware State is committed foremost to academic excellence and intellectual competence. It strives to provide and maintain a corps of scholars, lecturers, and educators dedicated to the enlightenment of mankind. The University is now a comprehensive institution, including agricultural, technical, liberal arts, fine arts, business, engineering studies, teacher education, and professional training. A one-plant facility in 1891, DSU is now a 400-acre campus with seventeen modern buildings, including a science center, a library/learning resource center, an ETV building, and an agricultural center. Delaware State University is accredited by the Middle States Association of Colleges and Schools to award Bachelor of Arts, Bachelor of Science, and master’s degrees. Financial Aid Specific to the School Army and Air Force ROTC offer two-, three-, and four-year scholarships that pay tuition, fees, books, and other expenses and a monthly stipend. Students should contact ROTC Office. April 1 (fall); November 1 (spring). Graduation from an accredited high school (or equivalent) and completion of the college-prep curriculum with the following 16 units: 4 English, 3 mathematics, 3 science including lab, 2 social studies/history, and 4 electives including foreign language or computer science; must have C average. Recommendations from school counselor and school administrator are needed. A application fee is required. Must attend a precollege week held in August. Admission Application Deadline: April 1 (fall); November 1 (spring). Admission Contact: Director of Admissions, Office of Admissions, Delaware State University, Dover, Delaware 19901; Telephone: 302-857-6351; 302-857-6352 (fax). A minimum of 121 semester hours and completion of the core requirements to include the following hours: 6 mathematics, 6 natural science, 7 social science, 11 basic intellectual skills, and 12 humanities; minimum 2.0 GPA; C average or better in all major courses; and the last 30 hours completed at DSU. Total enrollment (men/women): 1,419/1,909 In-state: 1,844 Other regions: 26 states and 7 international Full-time undergraduates (men/women): 1,109/1,364 Part-time undergraduates (men/women): 217/334 Graduate students (men/women): 93/211 Ethnic/racial makeup: African American, 2,026; Hispanic, 76; Asian, 31; Native American, 21; Caucasian, 1,103; International, 51. Campus Regulations: Alcohol is not permitted on campus; all students may have automobiles except freshmen; automobiles must be registered; dorm visiting hours. Campus Services: Student health, personal and psychological counseling, career placement, student support, and tutoring services; religious activities. Campus Activities: Social and cultural activities include theater, chorale, band, dance, modeling, and karate. Annual activities include religious emphasis week and art exhibitions of student and faculty work. Students may work on the Hornet (student-run newspaper) or the Statesman (yearbook). Communication majors may work in the student-run radio station, WDSC. Leadership opportunities are found in such groups as the Student Government Association (SGA) or the more than thirty department clubs and interest groups, such as the Men’s Council or Women’s Senate (two self-governing bodies within residence halls). Greek sororities include Alpha Kappa Alpha, Delta Sigma Theta, Zeta Phi Beta, and Sigma Gamma Rho; fraternities include Alpha Phi Alpha, Omega Psi Phi, Kappa Alpha Psi, and Phi Beta Sigma. Honor societies include Alpha Chi, Alpha Kappa Mu, Delta Mu Delta, Epsilon Delta Epsilon, Kappa Delta Pi, Phi Alpha Theta, Psi Chi, and Pinnacle. Professional societies include Phi Beta Lambda, Pre-Medical Society, and Student National Education Association. Social and service organizations include Alpha Phi Omega, Kappa Kappa Psi, and Groove Phi Groove. Housing Availability: 1,002 housing spaces. Handicapped Services: Services include wheelchair accessibility, elevators, special parking, and specially equipped restrooms. The campus is in the process of lowering telephones and drinking fountains. Bachelor of Arts: Art; Art/Business; Art Education; Applied Instrumental; Applied Voice; Broadcast Journalism; Clothing, Textiles, and Fashion Merchandising; Community Health; Criminal Justice; English; English Education; French; French Education; History; Hospitality Management; Journalism; Marketing; Music Education; Occupational-Vocational Teacher Education; Political Science; Psychology; Public Relations; Radio Production; Social Studies Education; Social Work; Sociology; Spanish; Spanish Education; Speech Communications; Television Production; Theater Bachelor of Science: Accounting, Agribusiness, Agriculture, Agriculture Education, Airway Systems Management, Airway Science Management, Biology, Chemistry, Chemistry Education, Computer Science, Early Childhood Education, Elementary Education, Environmental Engineering Technology, Environmental Sciences, Fisheries and Wildlife Management, Food and Nutrition, Health Education, Health and Physical Education, Mathematics, Mathematics Education, Mathematics/Computer Science, Nursing, Physical Education, Physics, Physics Education, Plant Sciences, Pre-Veterinary Science, Recreation Programming, Science Education, Sports Management and Leisure Study Preprofessional: Chemistry/Preprofessional, Pre-Chemical Engineering, Political Science/Prelaw, Pre-Civil Engineering, Pre-Electrical Engineering, Pre-Mechanical Engineering, Physics/Engineering (Dual Degree) Master’s Degree: Applied Chemistry, Biology, Biology Education, Chemistry, Business Administration, Education, Physics, Physics Teaching, Social Work, Science Education.